Nanotechnology is one of the utmost significant tools in modern agriculture is predicted to become a driving cost-effective force in the near future. Nanotechnology in agriculture has gained drive in the last decade with an abundance of public funding, but the step of development is uncertain, even though many disciplines come under the agriculture system. This could be attributed to a unique nature of farm production whereby energy and matter are exchanged freely, the scale of demand of input materials constantly being enormous in contrast with industrial nanoproducts. 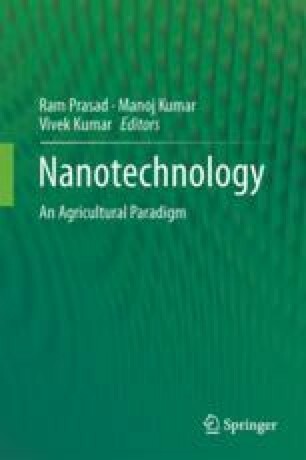 The nanotechnologic intervention in farming has prospects for improving the efficiency of nutrient use through nanoformulations of fertilizers, surveillance and control of pests and diseases, improvement of new-generation pesticides, biosensors (which are exclusively used in remote sensing devices for precision farming), clay-based nanoresources for precision water management, and reclamation of salt-affected lands.